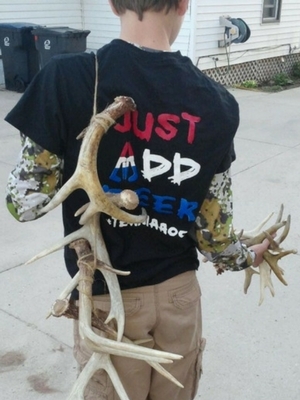 Shed hunting at the end of May? Oh yes my friend, 25 sheds found so far, thanks to the proven tricks we’re going to share with you here. 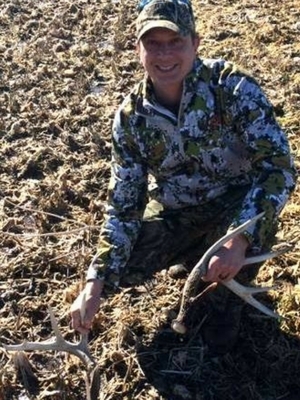 In the Midwest the shed hunting season began in late February, and continues on today. At first sight of a buck that had dropped his antlers, we were ready for the hunt, only this time around we wouldn’t be taking a gun or bow. We’re taking good hiking boots, a warm mug of coffee, and our patience! As we snake our way through the matted marsh grass, the wind is brisk on our face. We welcome the crisp air, and the accompaniment of the warm sun, it’s nothing close to the mind numbing minus thirty degrees and thirty mile an hour blizzard conditions we were hunting, in early January. Thanks to our G-Force Outdoor Gear we stay nice and cozy, regardless of the temps! My particular favorites are the Scouters Hoodie, in combination with the All Season Jacket, giving me complete control whether I’m too cold, or too warm. God truly blessed the hunter when He decided that deer, moose, elk and caribou should shed their antlers. Picture it…. There you are, reminiscing of late season bow hunting, a mild depression setting in, knowing you must wait another 10 months to start it all over again. Then Boom... you spot a buck who’s shed his antlers. Your veins surge with excitement once again. Put that tv remote away, it’s time to hit the fields! 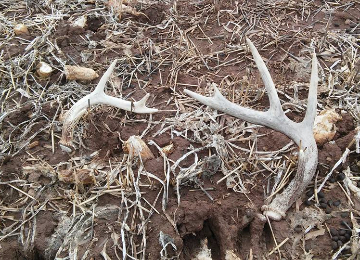 Top 10 Tips for Finding Antler Sheds! Identify Deer winter food sources, this is a great place to start. Bedding areas: marshy areas, or pine trees offering winter cover. Deer trails - generally speaking, where the deer are, is where the antlers drop. Fence lines, ditches, or hilly areas, where antlers can be jarred loose when jumping or maneuvering obstacles. Antlers may hang from trees or bushes where brush is thick, and likely to knock antlers loose, be sure to search above ground as well! Search fields in parallel pattern and you’ll better cover the entire area, rather than random searching. Use trail-cameras to aide in your monitoring of when antler shedding has begun. Invite friends and family to join in the fun! The more eyes you have, the better your chance of finding a prized shed! Google search images of antler sheds to familiarize yourself. Antlers may look like grass or sticks. If it looks suspicious, check it out! On more than one occasion what was thought to be a stick, turned out to be a shed. 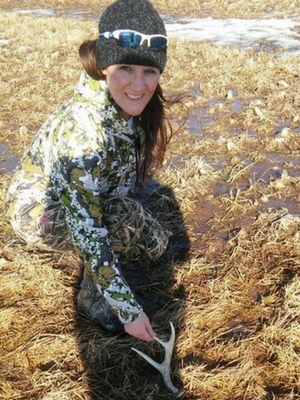 You will be amazed how much you learn about deer movement while shed hunting. Shed hunting also prepares you for the fall hunting season by familiarizing yourself with deer trails, and sign while out in the fields. Enjoy the spring air, spend time with your friends, and try something new!